In this episode of the 5 Leadership Questions podcast Todd Adkins and Kevin Spratt talk with Trip Lee, an award winning music artist and author as well as a pastor and speaker. 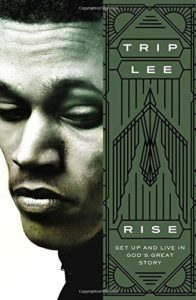 Trip’s latest album and book are both titled Rise and are a challenging encouragement to believers. As a young leader, Trip’s perspective and insights on managing home and ministry balance, leading in the home, and taking on pastoral challenges is refreshing and honest.